These are vintage acrylic pendants or hoops. 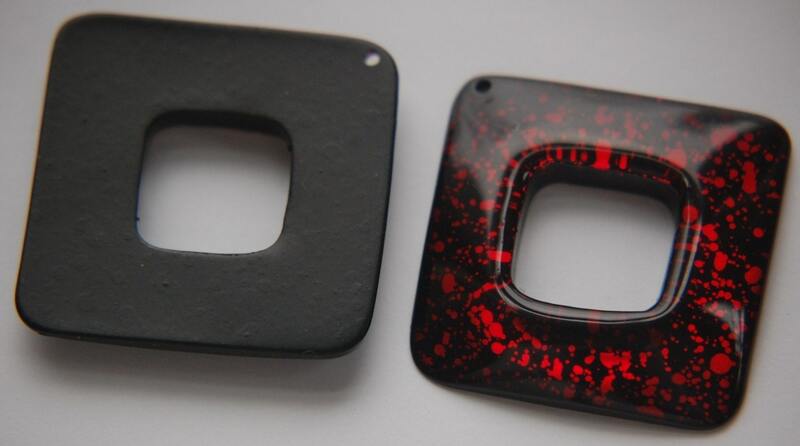 They are are square shaped with a flat black back. 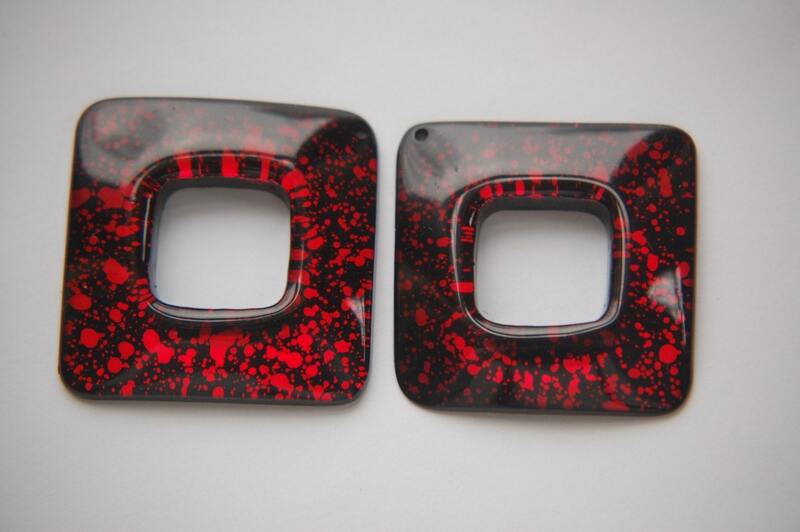 The front is domed acrylic over a speckled red surface. These are fun the way they play in the light. There is a beading hole in the corner of each one. These measure about 40mm. You will receive 2 pieces. Wow! These square hoops really deliver dramatic flair. The red speckles just leap out of the black background sparkling and shining. Marvelous quality to these acrylic drops and I know I will be back for more of these babies. Thank you for carefully packaging my purchase to arrive in a timely manner and undamaged by the rigors of travel. I will certainly be back soon. 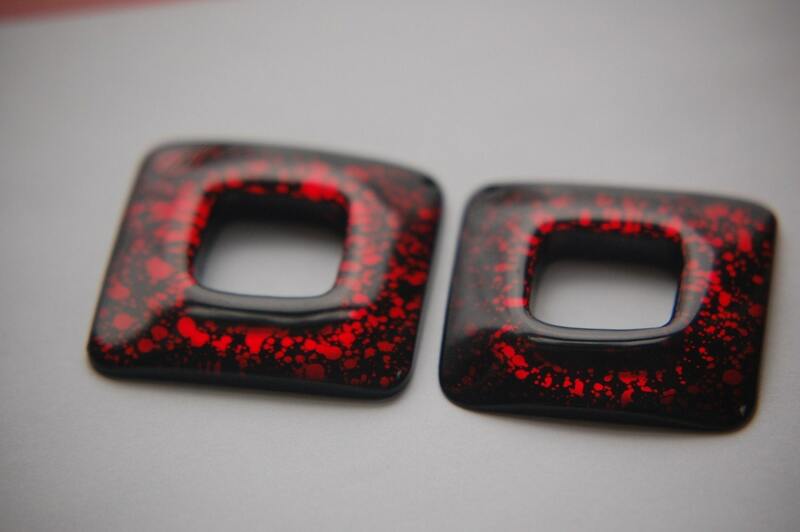 These are so bold, and the coloration is absolutely stunning, even prettier in person!! I know I should be making pieces for my Etsy shop to sell, but I have to admit, the supplies I found in your shop.....I think I am going to treat myself for once, and make some jewelry for my own personal collection....since I was able to find so many pieces in my favorite color scheme of red and black. THANK YOU for an excellent shopping experience!! A+++++! !